In the name of nostalgia, the nineties is getting revived and we’re all for it. We’ve had the resurgence of Ellesse, Sabrina the Teenage Witch is on her way back, Baywatch and Jumanji have had the modern Hollywood remake treatment. Now it’s the gamers’ turn to wallow in the joy and simpler times of yesteryear, without all the hassle of dial-up and CD-ROMs. 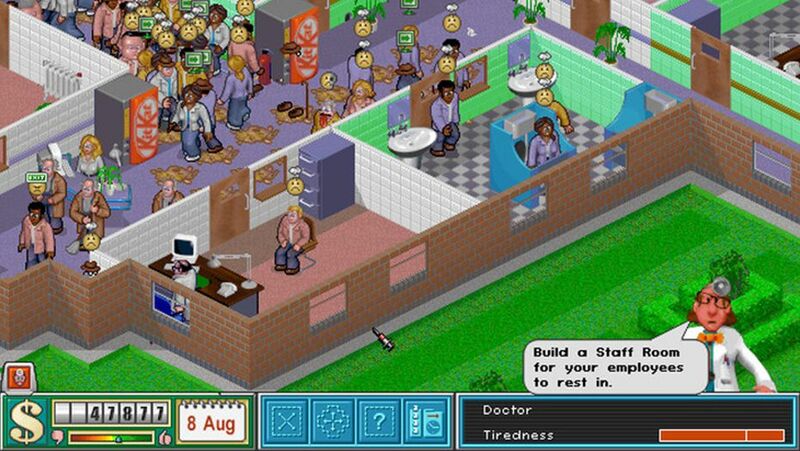 The latest game to get a reboot is Theme Hospital, one of the many games that gave millennials our trademark God Complex, and spawned an entire generation of young boys and girls to pursue their dream of helping people in hospital jobs. 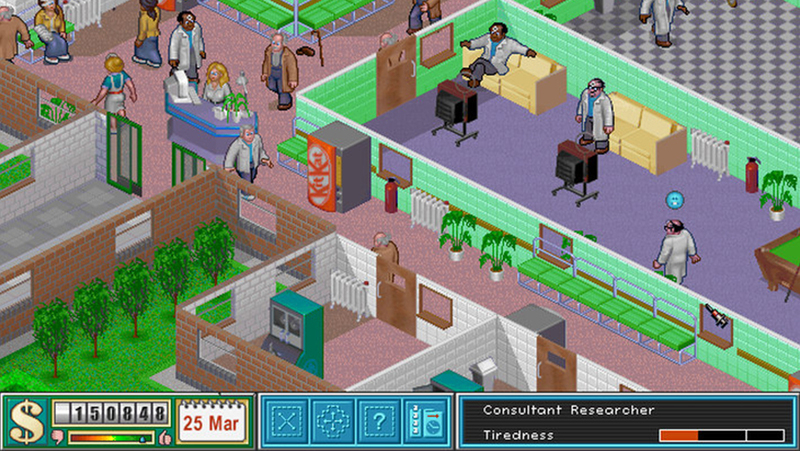 The game invited players to build their own private hospital, keep their staff happy and cure patients of fictitious comical ailments. The business simulation game was developed by Bullfrog Productions and published by Electronic Arts in 1997 for the PC, to great acclaim for its graphics and humour. Who can deny the rib-tickling prospect of kids curing King Complex – the irony of which is lost on no one – from behind a computer screen with the simple click of a button and a few cheats? Hilarity always ensued as you’d watch your capitalistic gains flourish and willingly ignore your doctors’ tiredness bars creep slowly up as you dealt with Alien DNA or Bloaty Head. I imagine it’s much like how the government runs the NHS today. In case you forgot, Bloaty Head was caused by sniffing cheese and drinking unpurified rainwater, and the cure was to pop the head with a pin, before reinflating it with a pump. 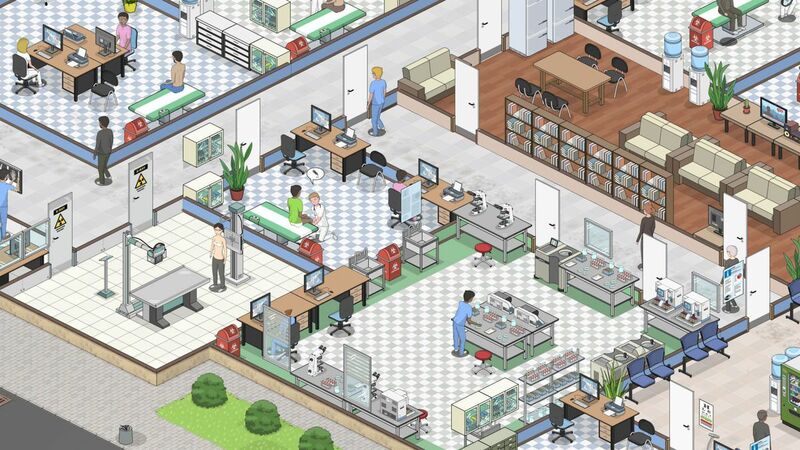 Now, the menu-driven so-called God game is getting a makeover, courtesy of Oxymoron Games, who are calling their game, Project Hospital, the ‘spiritual sequel to Theme Hospital‘. 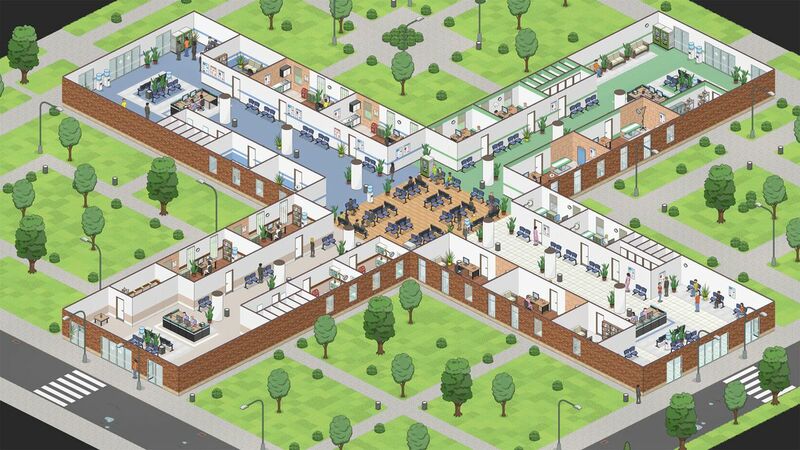 The indie title lets you do a lot of what you loved about the Bullfrog game, including laying out the hospital, hiring staff, and curing patients for profit. Oxymoron, a Prague-based outfit set up by three AAA gamers, also benefits from the 21st century technologies, and Project Hospital subsequently handles much more detailed graphics than the Ol’ Faithful 16-Bit could muster up. I mean, would you look at those crisp, clean hospital tiles? However, there are a few crucial differences. 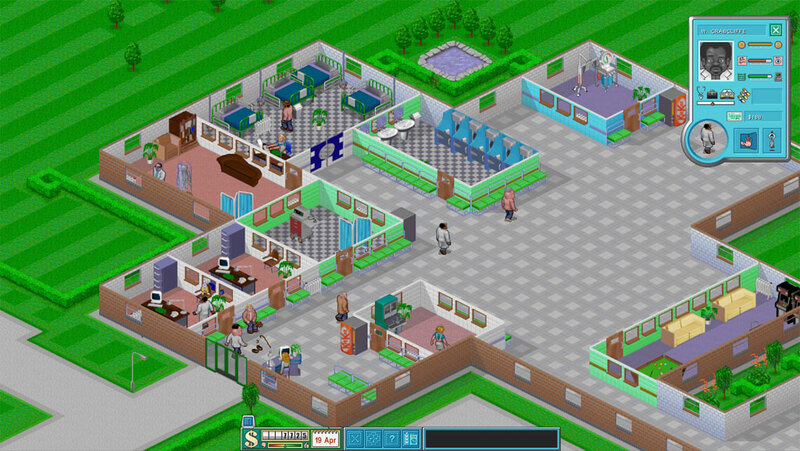 Project Hospital adds a few features that its predecessor didn’t have, such as premade hospital layouts, so you can jump right into playing doctor. And the dark humour might be absent too. Instead of made-up diseases, Project Hospital promises to instead introduce players to real world diseases and their cures, in hopes of actually educating players as well. So, who’s buying this for Health Secretary Jeremy Hunt this Christmas? 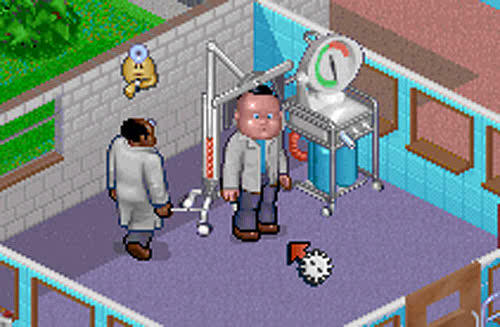 Let’s just hope the Theme Hospital reboot doesn’t disappoint and subsequently crush our rose-tinted view of our childhoods. Project Hospital is due for release on Steam in 2018.